Alright, I have successfully completed the FraudLabs Pro App installation on the Shopify platform. What should I do next? Well, basically you could choose to do ‘nothing’ at all, as the App is already protecting your e-commerce store from payment fraud. Having said that, there are a few more items you can check if you wish to further optimize your fraud checking process. Before we explain further on the additional items for optimization, let’s brief you on what you can expect from the default installation. Manual review the order if the calculated fraud score is greater than 70. Manual review the order if the billing country is not equal to shipping country. Manual review the order if the visitor’s IP was found to be using anonymous proxy for browsing. Reject the order if the email address was found in the email address blacklist. Reject the order if the visitor IP address was found in the IP address blacklist. We will recommend that you read the below articles to understand how the validation rule works, and how they will affect Shopify order statuses. How is the sequence of execution of fraud validation rules? To explain further, FraudLabs Pro will validate the order for fraud traits and will then return a fraud score (the higher the number, the higher the fraud risk). In addition to the fraud score, FraudLabs Pro will also run through the validation rules in sequence to check if the order failed any of the configured rules. If yes, the respective action, REVIEW, REJECT or APPROVE, will be executed. If the order survives the rules checking, it will be returned as an approved order. Below are several items that you may consider to further optimize the checking process. Stop the payment process for fraud order. In the default installation, regardless of whether the order was approved, rejected or pending for review, FraudLabs Pro will not stop the payment gateway from completing the payment process. You only can choose to either refund or void the associated payment after the fraud alert. This might get complicated if you are offering digital download whereby you want to refrain the user from immediate access when the order was flagged as fraud. The good news is, this concern can be easily solved by using the FraudLabs Pro auto capture feature. You may read the below tutorial to learn more. How to hold a fraud order on Shopify? Without a doubt, every business will be having their own requirements, needs and operating procedures. For example, multiple purchases from the same person within a week are considered valid for certain businesses, but a similar purchase behavior could be a red flag for others who don’t expect repeat orders within a short time frame. This is just one of the reasons why you should revisit the validation rules and to reconfigure the rules to best suit your business. 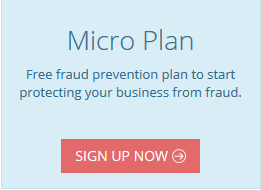 If you need more validation rules, you can easily upgrade to a higher plan at https://www.fraudlabspro.com/pricing. what type of notification you want to receive. For example, approve, review or reject alert. what channel to receive the notification, email or Slack. who are the intended recipients. Although there are still other items you could further optimize in FraudLabs Pro, but we believe by performing the above checklist, it should be sufficient for most cases. Anyway, we will still recommend that you check out our resources page for further information and guidelines. And, please do not hesitate to contact us at https://www.fraudlabspro.com/contact if you couldn’t find your answer from our website.